When Disney bought Lucasfilm, there were tons of rumors about who might be directing a new Star Wars film — and one name that was brought up a lot was Star Trek director J.J. Abrams. And now, it turns out there was some truth to the rumors. 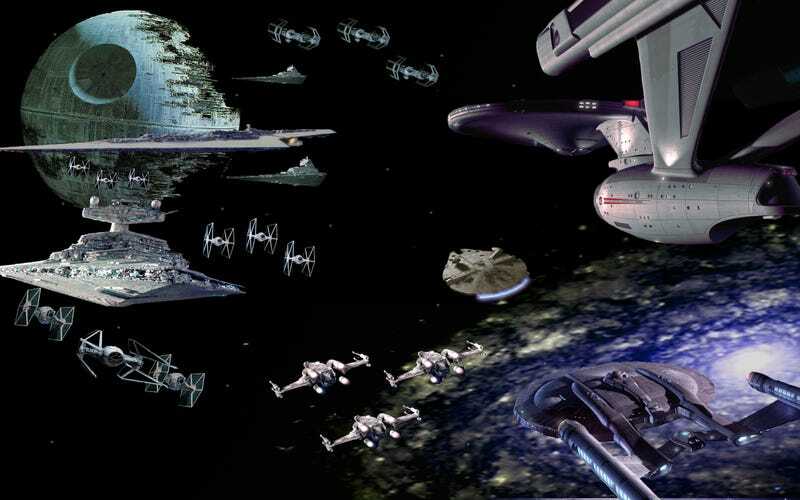 There were the very early conversations and I quickly said that because of my loyalty to Star Trek, and also just being a fan, I wouldn't even want to be involved in the next version of those things. I declined any involvement very early on. I'd rather be in the audience not knowing what was coming, rather than being involved in the minutiae of making them. And interestingly, he mentions that he's under contract for three Star Trek movies, meaning he might well be directing the movie after Into Darkness.